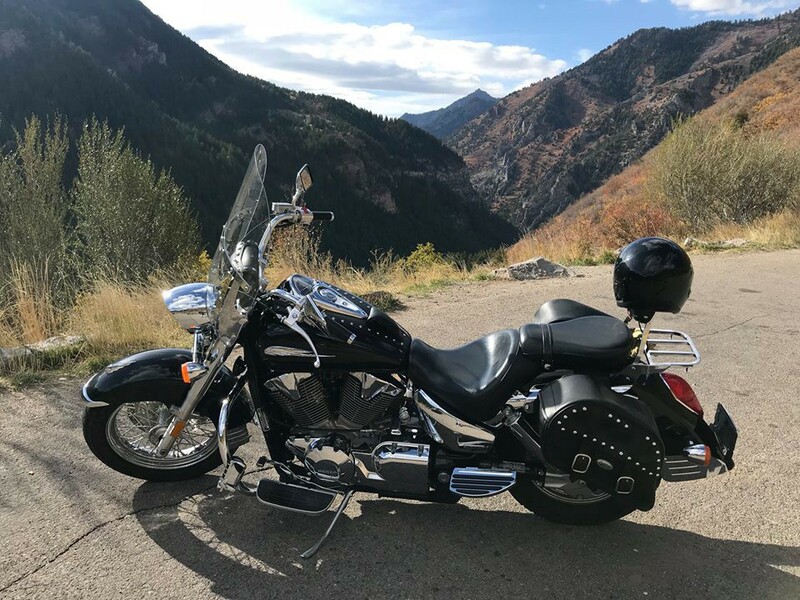 There’s nothing quite as invigorating as a fall mountain motorcycle ride on a brisk afternoon here in Utah. In fifteen minutes, I’m at the mouth of the canyon. The orange and yellow leaves paint a beautiful front drop to the majestic cliffs and mountains in the background. There is a distinct fall mountain air smell today, even different from just a couple weeks ago. On a motorcycle, on a canyon road, one of the greatest lessons and practices is that of being present. You take in everything. • Be like the stream: Us humans make life too difficult. We overcomplicate things. A stream just flows downstream. In some places it flows faster, in some slower, but it’s always making progress towards its destination. There is a concept in Buddhism called wu wei, which basically means to go with the flow. I think we’d have a lot less health issues with a little more wu wei. • Lessons from the trees: Trees know when to let go. They know when their leaves no longer serve. They know when to dig their roots deeper for nourishment, and when to bend with the wind. Also, nobody judges a tree for growing wrong or for growing differently. They just grow as they grow. May we judge and label our fellow human travelers less, and appreciate the wondrous variety more. • Enjoy the journey: I’ve taken this same route over the Alpine Loop many times. It is the same, yet always different. All we ever have is now, so enjoy the now. Take time to pause, to see the vista, to breathe life into the mundane. Take time to appreciate others, as well as yourself. • Choose love over fear: I’ve had hundreds of motorcycle rides and seven motorcycles since my crash in 1999 when I thought I was going to die. If I would have been afraid after my accident, and not have purchased another bike, I would have missed many perfect present moments like today. • Live each day as if it were your last: With winter coming, today might have been my last ride for the season. I rode it like the last ride of the season, taking in all I can. If I get another ride, great. If not, great. If we live each day like it was our last, one day, we’ll be right. I think only motorcycle people really understand the pleasure of the ride, but I believe we can all relate to the life lessons learned. If you’ve made it reading this far, thanks for riding along with me.